How To Calculate Trade Show ROI? 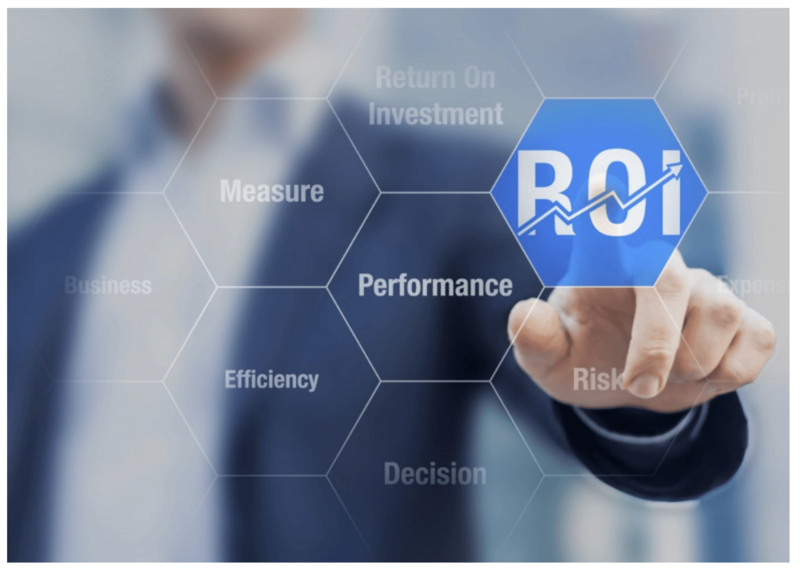 One of the most common question asked of any marketing team after exhibiting at a trade show is, “What is our return on investment (ROI)?” The answer to this question is integral in determining if a show strategy was successful, and can affect your allocated budget for shows moving forward. 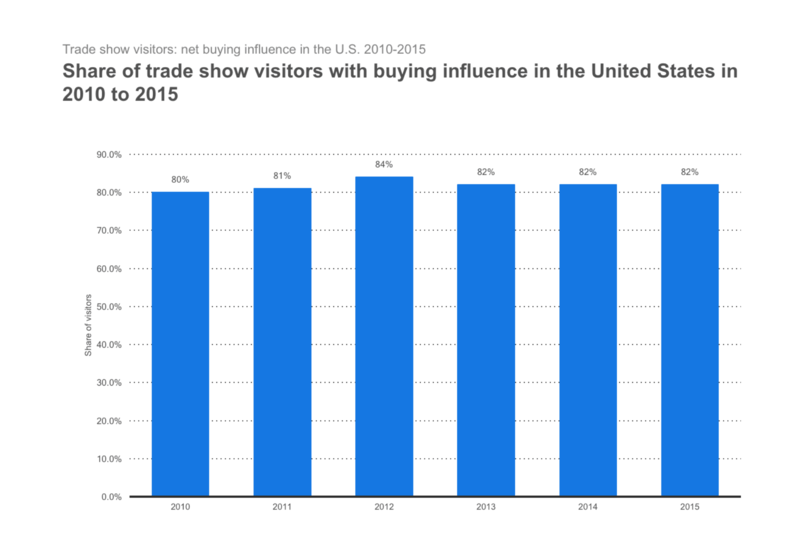 As you can see in the data below, collected by The Exhibit Survey from 2010-2015, over 80% of show attendees have buying power. Therefore, it is important to have a sound strategy to reach those attendees and increase revenue. Many of our clients come to us, asking if there is any magical tool out there that easily calculates ROI from a trade show, and while there are many tools and technology that can help, there is no one-step solution. Calculating your ROI requires a sound strategy and consistency. The first one is easy. As your team handles attendees at the booth, make sure you are capturing important contact information. This can be through a technology based lead tracking system and badge scanner, or can be as simple as collecting business cards in a fish bowl. Regardless of how the attendee information is collected, it is important to organize it. Most companies utilize a customer relationship management tool (CRM). This will allow your team to know which contacts were made at which show, and what part of the sales cycle they are in. The important part is that you capture the information and USE it. There are marketing teams who use the most expensive lead capture tools, but their sales teams do not follow up adequately, and there are teams who simply collect business cards and their sales team efficiently reaches out within days of the event to close opportunities. Now that you have the lead contact information, it is time for a timely follow up within 2-3 days of the end of the show. This time period is when marketing teams have the most difficulty tracking revenue generated from the show. Most sales associates are concerned with making the sale, and not as much of how or where the conversation started. Then, the sale is made and the marketing team is not made aware of the revenue generated from the show. It is critical that the sales team understands the importance of tracking this revenue. It allows the company to understand the value of exhibiting and generating face to face interactions, and ultimately more sales. In turn, this allows the marketing team to maintain, and even grow their event budget, and continue to send the sales team to the trade shows they love so much. Most CRM’s allow for customization, and you can create a field to mark if the relationship was established at the show. This will allow the marketing manager to run a report on all contacts made at the show, and to see if any sales have been completed. After you have made sure to track your leads, ensure a timely follow up, and make sure the sales team is reporting revenue from the show, it is a simple process of allocating a revenue amount compared to the total cost of the show (exhibit space, booth, travel, hotels, food, etc.). One of the more commonly used formulas can be seen below. While this approach may not be applicable to every situation, there are some other popular techniques to calculating ROI. One technique is to take your overall cost of the show, and divide it by the number of leads generated by the show, and this results in your cost per lead. For example, if you spend $70k to exhibit at a show and are able to generate 500 leads, that would be a cost of $175 per lead. A good way to compare that cost is to think how much would it cost you to send one sales person to each of those lead’s location for an in-person meeting? In the end, the best thing you can do is develop a strategy, be consistent with it, and keep your sales team accountable in order to track timely and accurate revenue.